Is your iPad unadorned? Are your ear buds the boring white ones that came with your phone? If the answer is yes, it might be time for an upgrade. Hear us out—our lives pretty much revolve around technology, and we think it should be just as fabulous as we all are. Accordingly, we’ve sourced our current favourite gadget gear for your perusal, so click on to uncover the stylish tech possibilities! It’s about time your iPad makes a statement, no? Enter this graphic case. Bonus: it’ll keep your precious pad safe! We’re so happy to know that a silver glitter iPhone charger exists. We just might start listening to more music, thanks to these metallic headphones. How many times have you said that you wished you had a portable keyboard for your phone or tablet? Problem solved! Perfect selfies made easy with this ingenious gadget! 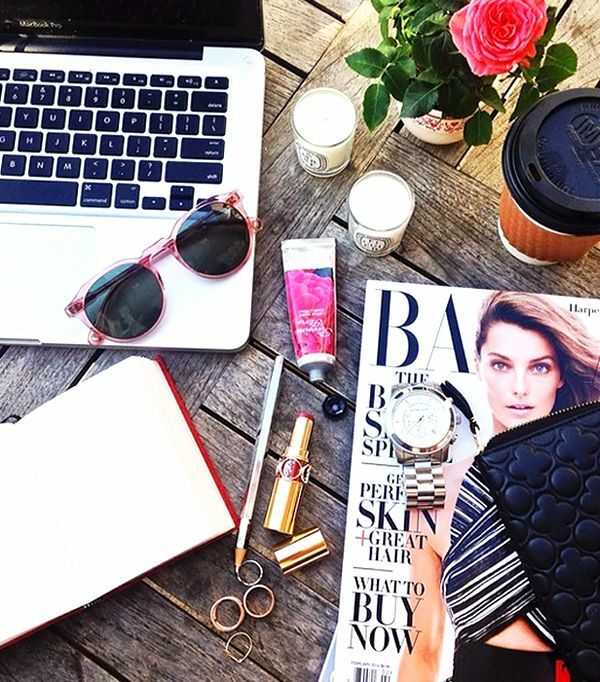 Fashion Girl Instagram Cliches - Are You Guilty? It doesn’t get more convenient and fashionable than this handy USB cable. This portable speaker is so sleek and the sound quality is so good. Words can’t describe how cute these whimsical ear buds are. You’ll never be left with a dead battery again with this portable charger. We love the Palm Springs vibe of the design. We’ve always wanted our iPhones to be adorned with angry flying kittens and glittery lightning bolts. Haven’t you? What is your tech accessory obsession? Comment below!